Four new films were shown after the Berlinale. Read the press bulletin, some press commentaries or an interview with the makers (in german)! The DVD edition has been released by Absolut Medien! The online presentation is available at the German Kinemathek! The tie-in edition was published by be.bra-Verlag! Ten sold-out presentations at the Berlinale Festival! We would like to sincerely thank all protagonists, members of the staff and visitors! Five movies of the long-term documentary »Berlin – Ecke Bundesplatz« were presented for the first time at an international film festival – in a »neighborhood« cinema. World history lies in each cradle and under each gravestone. 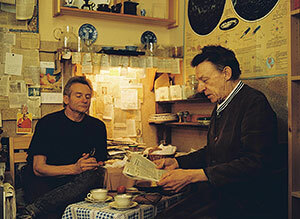 In 1986 the filmmakers Hans-Georg Ullrich and Detlef Gumm therefore decided not to look for stories in faraway continents, but at their own doorstep, in the immediate vicinity of the seat of their company »Känguruh-Film«: in Berlin-Wilmersdorf at the »Bundesplatz«. This was two decades ago. Gumm and Ullrich began this project before the fall of the Berlin Wall, before the days of the peaceful revolution in East Germany, which marked not only the end of a divided nation, but also the end of the Cold War. And now, twenty years after this historical event, the International Filmfestival Berlin is rolling out the red carpet to honor these unique films. Wisely not at the Festival-Palais at the Potsdamer Platz, but in the »Kiez«, the area around the Bundesplatz, itself. 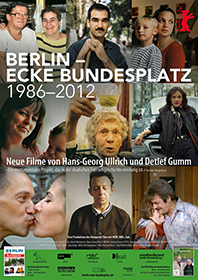 That is where the five new films of the project »Berlin – Ecke Bundesplatz« belong, at least during the Berlinale. These films are, like their authors and the people portrayed in the films, a part of this area of Berlin. 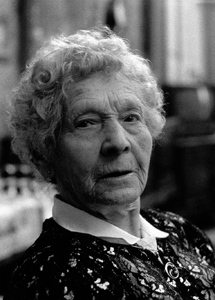 The widow who is over 90 and who still shovels the snow by hand in front of her house door because »one does that like that, from way back.« Family Köpcke, who year after year created the ideal picture of themselves when they celebrated Christmas by making music under the Christmas tree – and who have to experience that even the strongest family ties are loosened when one of the children emigrates to Sweden, the promised land of the Köpckes, for the sake of a career. The unemployed nurse with her three children and a pack of dogs, who quite clearly is not coping and who lacks the energy to change her life. The homosexual couple – one is a writer and master in the art of living, like Don Quixote always itching to provoke the powerful men in this world, but at the same time never losing sight of the spiritual sense of his own life; the other, a former policeman, who became an artist, a painter and who always supported his friend and partner in good and bad times. Till death doth do part them. The documentaries in this long-term project »Berlin – Ecke Bundesplatz« are, if we look at them carefully, movies made differently. They tell of – not unlike »Smoke«, for example – dramas on a tiny, unspectacular stage. And so the motto of the Swiss author Max Frisch »Sooner or later everyone invents a story which he considers to be his own« is true for the protagonists, the filmmakers themselves and the audience. That is what films, that are based on real life, are all about. »Berlin – Ecke Bundesplatz« is a declaration of love to generations of people who have never stopped struggling and dreaming.